Did you know that when you make simple changes to enrich your cat's life you reap the benefits as well? From eliminating outside the litter box to aggression, even inappropriate scratching, these and other behavioral disorders of indoor cats can be treated simply by making improvements to your cat's environment. In this month's episode of Pet Talk, Dr. Sarah shares her surprisingly simple tips that you can implement at home, all to help your feline feel purringly content. Which makes everyone in the home a little bit happier. Don’t forget to share this webisode with other pet parents! 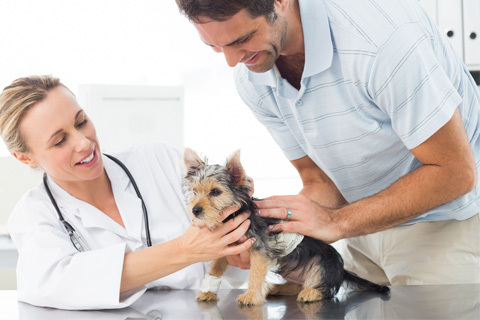 With advances in veterinary medicine in the past 30 years, we now have more tools than ever before to treat disease. 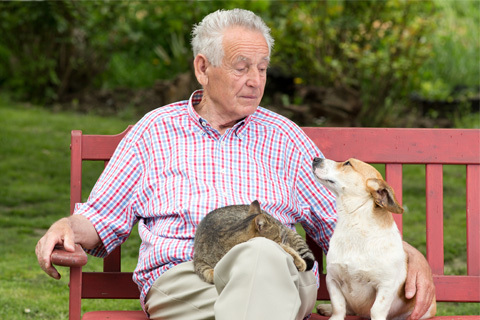 As a consequence, dogs and cats are living longer, which means plenty of visits to the vet’s office. Recently, I read an article about dogs and cats that are considered “less adoptable” due to their age, breed or traits. This item was written in connection with Petfinder's “Adopt-A-Less-Adoptable-Pet-Week”, which is celebrated the last week of September. I was surprised to find out that black cats are still considered less adoptable mainly due to superstition; hard to believe considering it’s 2014. My husband and I have shared our home with a black cat for 15 years. Lucky Boy is not only handsome with his dark fur and big green eyes, but he’s funny and playful … a complete joy. So it occurred to me that our readers have had similar positive experiences with their supposed “less adoptable” companion animals. By sharing our stories, together we can help increase the adoption rates of less fortunate animals and encourage more families to experience the delight of sharing their lives with pets that may not be considered perfect but have so much love and appreciation to give.